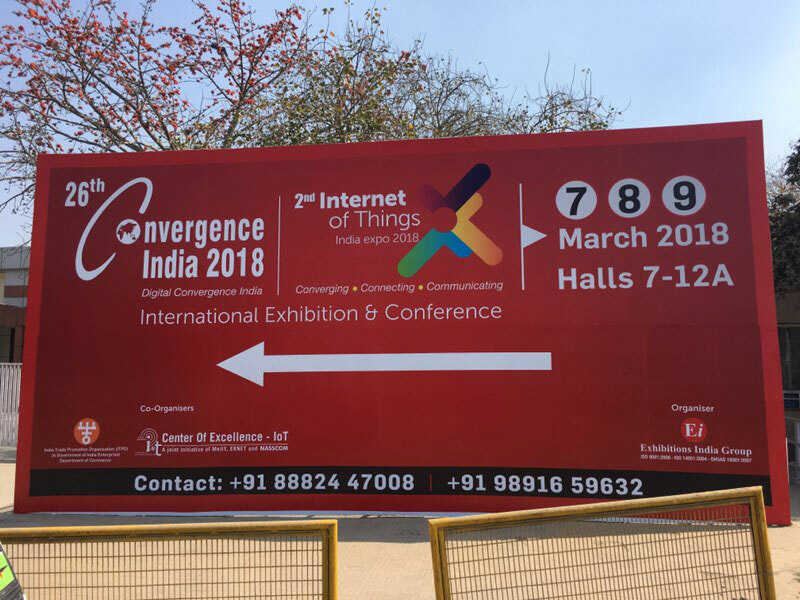 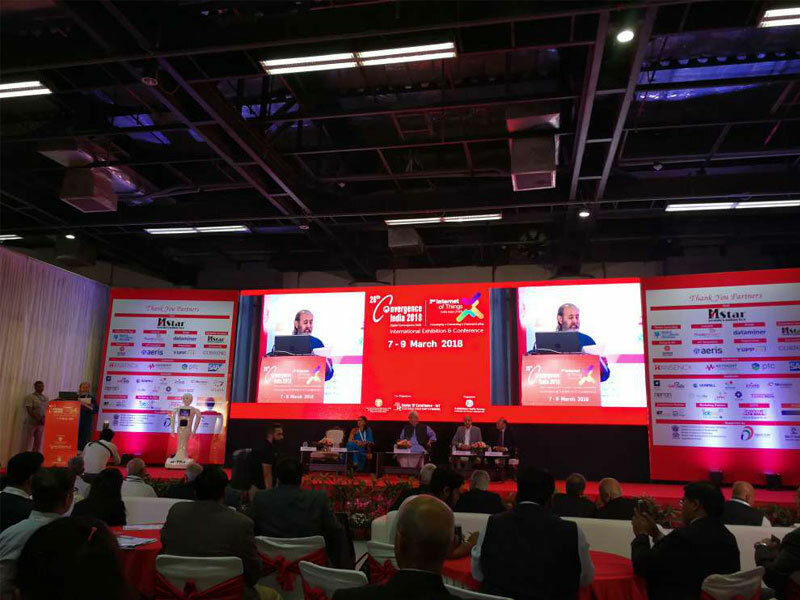 Launched in 1992, the Convergence India series of expo is credited as South Asia’s largest ICT expo.The expo showcases latest trends and technologies related to Telecom, Broadcast, Cable and Satellite TV, Cloud & Big Data, IoT, Digital Homes, Mobile devices, Film and Radio, Content Creation, Management and Delivery, etc. 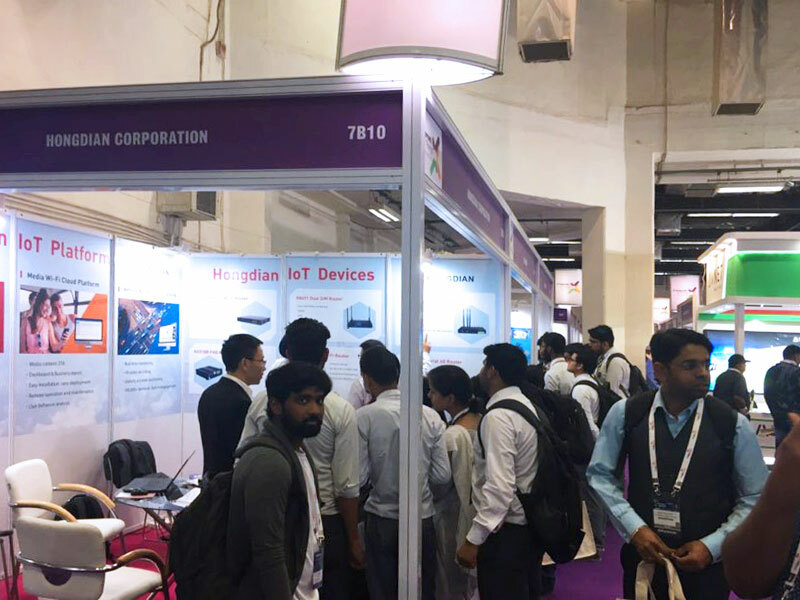 Hongdian was invited to attend this event and exhibited its industry-professional solutions featuring a number of Hongdian M2M and IoT products at Booth 7B10. 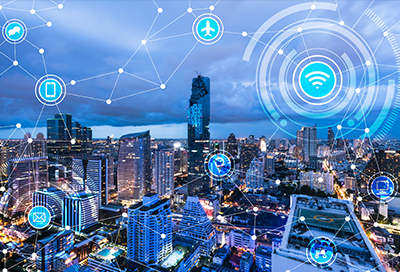 5.NB-IoT, Lora Modem/Gateway features low power consumption & low cost & long- distance transmission. 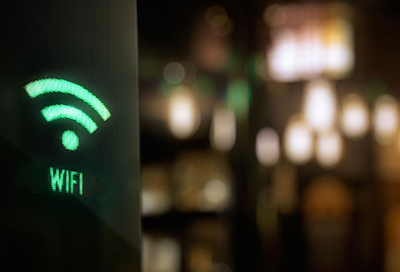 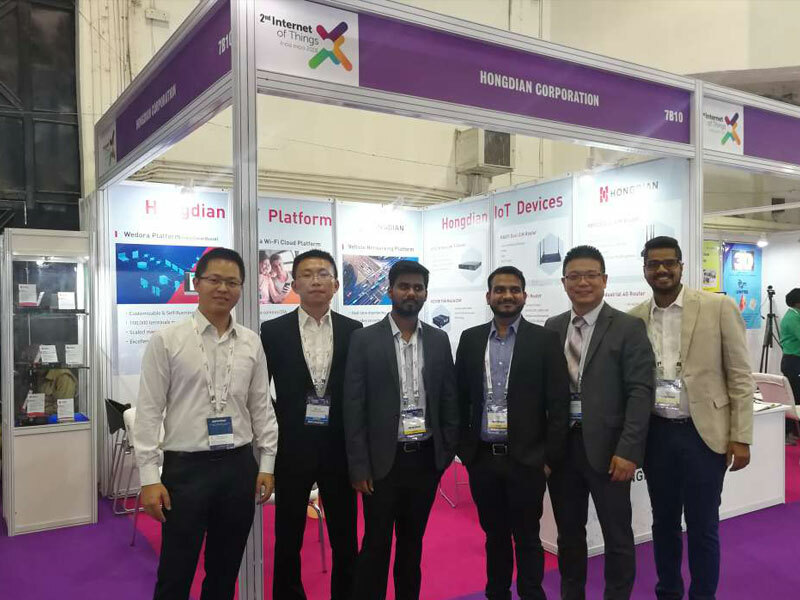 During this event , Hongdian bonding bandwidth router was attracted much attention , many clients showed great interest since the bonding function can accelerate the network transmission speed and realize quickly data-transmission. 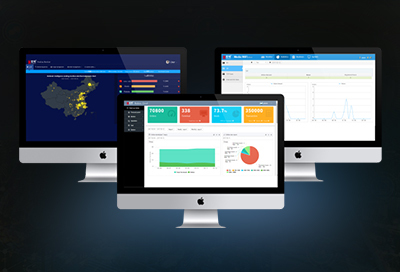 It is very useful especially for the remote areas in india. 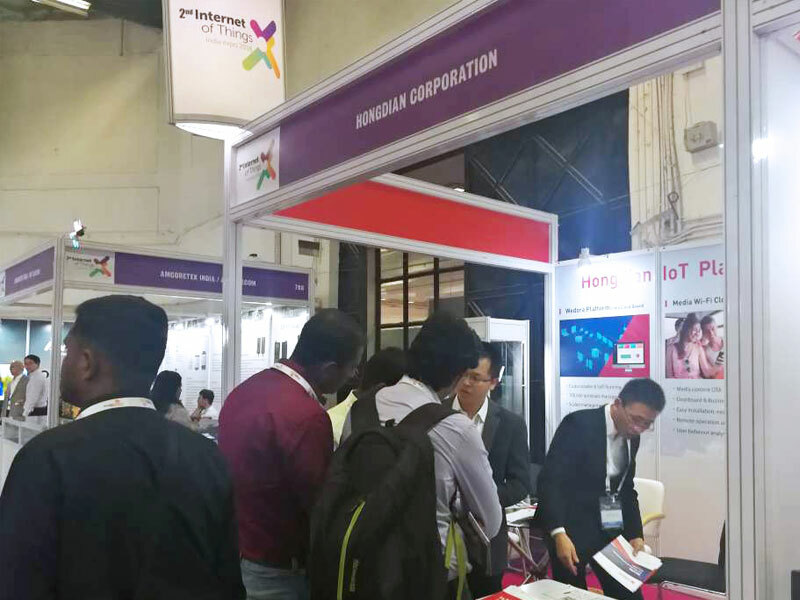 Convergence India 2018 is a good platform for Hongdian to deely know the india’s IoT Market,The Event lasts 3 days, not only had we brought back a lot of advice from end users and invaluable dealers. 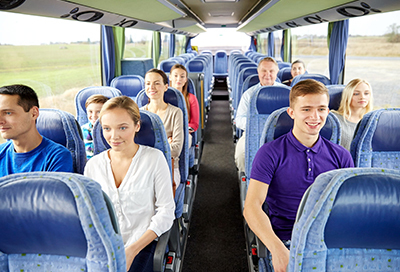 But also many clients had expressed great cooperation intentions.